Marcus McDonald Richardson and Elizabeth Anna Green are my 2x great grandparents, the parents of my great grandmother Versa Grace Richardson. Marcus & Elizabeth Richardson with daughter Versa Richardson Hedrick, and her children Rena, Deward, Euvella and Elizabeth. I got this photo from my grandmother Euvella. Marcus McDonald Richardson was born August 12, 1851 in Pike County, Indiana. He was the son of George Wesley Richardson and Johanna May. George served in the Civil War. You can see his Find A Grave memorial here. 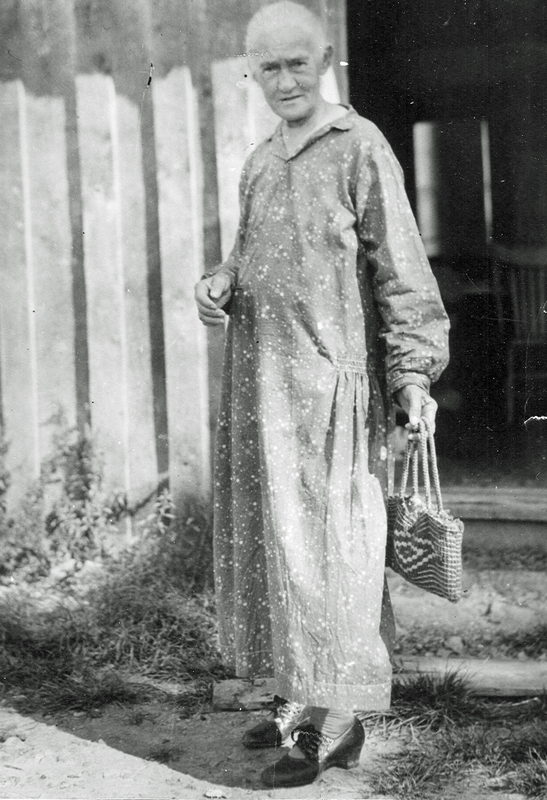 Elizabeth Anna Green was born June of 1859 in Indiana. She was the daughter of Caleb Green and Sarah Jane Green. Caleb served in the Civil War. You can see Caleb’s Find A Grave memorial here and Sarah’s here. On the 1860 US Census, Marcus was 9 and lived in Columbia, Gibson County, Indiana with his parents (farmers) and 8 siblings. Elizabeth was 2 and lived in Scott, Harrison County, Indiana with her parents (farmers) and 2 siblings. On the 1870 US Census, Marcus was 18 and lived in Columbia, Gibson County, Indiana with his parents (farmers) and 5 siblings. Elizabeth was 12 and lived in Monroe, Pike County, Indiana with her parents (farmers) and 7 siblings. Marcus and Elizabeth married on March 11, 1875 in Pike County, Indiana. Marcus was 23 and Elizabeth was 15. On the 1880 US Census, Marcus and Elizabeth were farming in Ninevah, Johnson County, Indiana. Both were marked as being 21 years old, but Marcus was 29. They had no children. On the 1900 US Census, Marcus was 49 and Elizabeth was 41. They had been married 25 years, and had 6 children, all living. They lived in Finley, Christian County, Missouri. Marcus worked in the mines. Daughter Dolly, age 16, was born in Illinois, so maybe the family lived there between Indiana and Missouri. Their other children were born in Missouri: Sylvanus was 14, Letha was 9, and Gracie (Versa) was 2. Boarding with the family was Lizzie Wells, age 14, who worked as a typesetter. On the 1910 US Census, the family lived in Little Chaney, Chautauqua County, Kansas. Marcus was 58 and Elizabeth was 52 and they were farmers. Versa was 12. Letha was 19, had been married 1 year (no husband listed) and had a 6 month old son. Dolly was 26 and had been married to A. C. Dozer, age 34, for 8 years. They had 3 children. On the 1920 US Census, the family lived in Ruth, Stone County, Missouri. Marcus was 68 and a teacher of public school. Elizabeth was 62. Grandson Norval Camp, age 10, lived with them. On the 1930 US Census, the couple farmed in Ruth, Stone County, Missouri. Marcus was 78 and Elizabeth was 71. I don’t know where I got this photo, but it is labeled Elizabeth Richardson. It may be from my grandmother Euvella, but it’s also possible that it isn’t our Elizabeth Green Richardson. Elizabeth died October 25, 1939 in Reeds Spring, Stone County, Missouri. She was 80. You can see her Find A Grave memorial here. On the 1940 US Census, Marcus lived in Reeds Spring, Stone County, Missouri. He was 88 and boarded with Vergie Delong and her family. Marcus died October 27, 1941 in Reeds Spring, Stone County, Missouri. He was 90. You can see his Find A Grave memorial here. Van Richardson and his daugther Anitra. I got this photo from my grandmother Euvella, daughter of Versa. Sylvanus “Van” Richardson – Van was born October 4, 1885 in Walnut Shade, Taney County, Missouri. His World War I Draft Registration Card indicates he was tall and slender with brown hair and brown eyes. He married Mabel Ridge in 1918 and they had one daughter who died at age 20. By 1920 they were living in Colorado. Van was a merchant in a pool room (1920), manager of a pool hall (1930) and manager of a liquor store (1940). Van died in August of 1974 in Colorado. He was 88. You can see his Find A Grave memorial here. Letha Joan Richardson – Letha was born September 20, 1890. She married S. A. Camp on January 21, 1909 in Springfield, Missouri. They had one son. She married John S. Miller on August 19, 1918 in Joplin, Missouri. She married John F. Urueta prior to 1930 and they lived in California. John worked at a creamery (1930) and as a pipe layer/machinist at a construction company (1940). She died December 14, 1990 at age 100 in Los Angeles. You can see her Find A Grave memorial here. Versa Grace Richardson – My great grandmother Versa was born August 12, 1897 in Missouri. On October 26, 1913, Versa married James Wesley Hedrick in Stone County, Missouri. They had 5 children. Versa died December 22, 1928 in Bartlesville, Washington County, Oklahoma. She was 31. You can read more about her here. 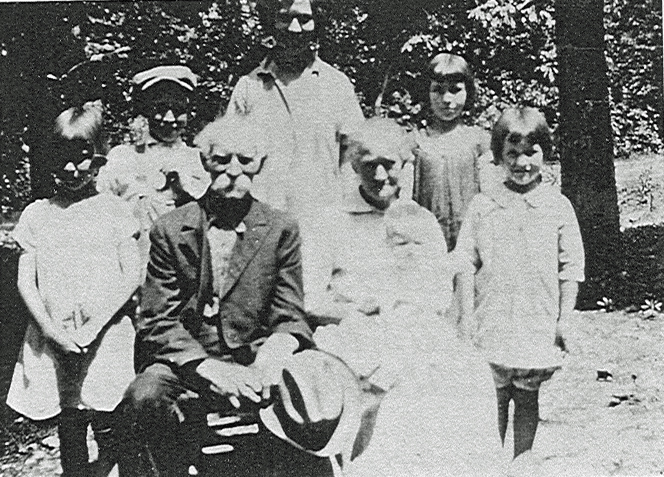 This entry was posted in Hedrick Family History and tagged Albert C. Dozer, Caleb Green, Civil War, Dolly Richardson, Elizabeth Anna Green, George Wesley Richardson, Johanna May, Letha Joan Richardson, Lizzie Wells, Mable Ridge, Marcus McDonald Richardson, Norval Camp, Sarah Jane Green, Sylvanus Van Richardson, Vergie Delong, Versa Grace Richardson by fillinginthefamilytree.com. Bookmark the permalink.